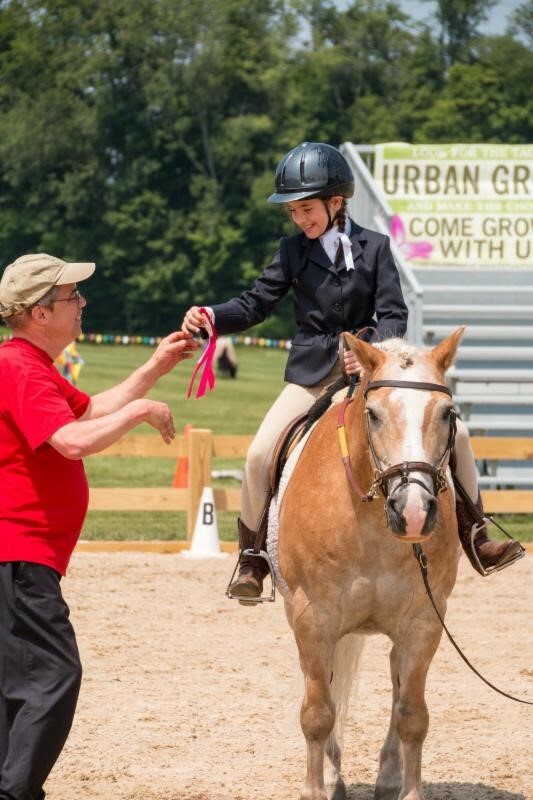 More than 50 riders with special needs and challenges competed at the a nnual Hunter Jumper Classic at the South Chagrin Metroparks Polo Field on Monday. The courage, determination and showmanship displayed by all the riders was an inspiration to all spectators.Students competed in carriage driving and riding on a variety of levels in front of their families, friends, and community members. Fieldstone Farm has been organizing Riders with Disabilities Day for more than 20 years giving students from a number of therapeutic riding centers the opportunity to show off their abilities. Several news stations captured the stories of the riders. Click here for the PD story, click here for WKYC story and here for the News Herald.